Too many women have too much leisure time for their own good. They have time for criticism, gossip, faultfinding, and complaining. They have time for idle games and lay too much attention to things of the flesh. There are other women who have too little time for the enduring things of life. They are too busy flitting about doing this and that. They have great activity and much doing, but they lack time for building Christian characters. Both kinds of women...the too-idle and the too-busy need to take time for meditation and quiet repose in prayer to God. They need time to cultivate their souls that in turn they may cultivate their childrens lives. New Updates! (4/22/2019) We've been working really hard on completing our membership system so you can submit quotes and keep track of them. Once this is complete in the coming weeks there will be a lot more quotes by Billy Graham and other authors. 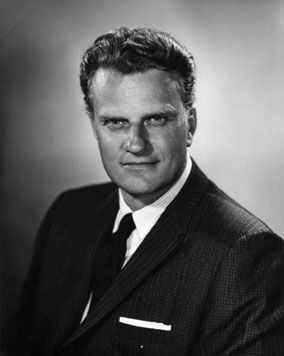 We've also changed the sorting on the site so you now see the latest Billy Graham quotes first. Our goal is to have the best Billy Graham quotes on the web!